These jars are rare. After drying for months and firing up to 2400 degrees F. the glaze colors must melt together perfectly. 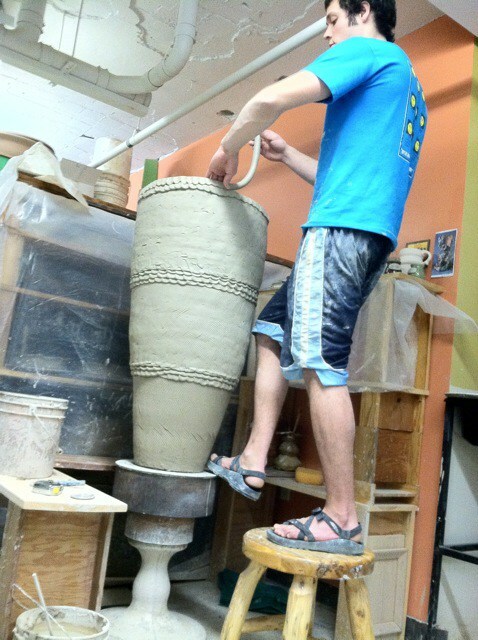 This mammoth jar is the biggest individual pot Joel has ever successfully created.